(Bloomberg) – AngloGold Ashanti Ltd.’s new chief executive officer, Kelvin Dushnisky, said his goal of unlocking value at the world’s third-largest gold producer will involve focusing on its best assets and selling those that aren’t core to the business. Dushnisky, 55, took over at AngloGold on Sept. 1 as the Johannesburg-based miner considers its future in its home country, which now accounts for about 12 percent of total output, and grapples with regulations that threaten profits at operations in Tanzania and the Democratic Republic of Congo. The former president of Barrick Gold Corp. ruled out “fire sales,” but said he would focus on assets that generate the most value. 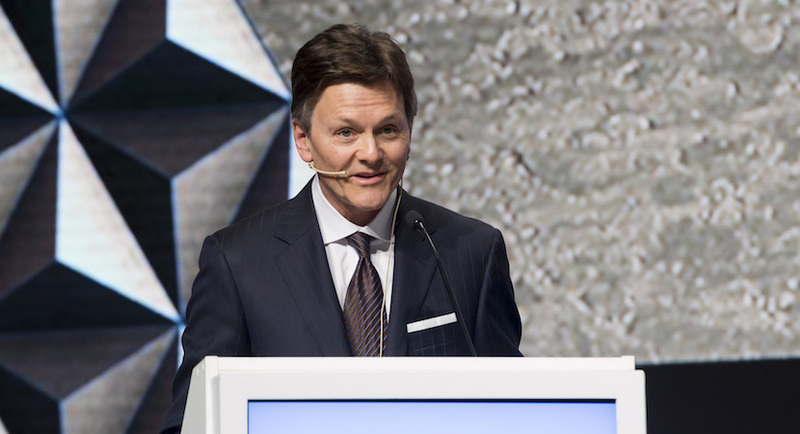 The executive won’t consider acquisitions until AngloGold is “firing on all cylinders.” Dushnisky said a mismatch between the company’s output and market valuation helped attract him to the top job. AngloGold trades at a price-to-earnings ratio of about 18 times, compared with a peer average of about 27 times, according to data compiled by Bloomberg. “That tells me there are things that can be done to unlock value,” said Dushnisky, a Canadian national who was raised on a farm in rural Manitoba and is in the process of buying a house in South Africa. Asked if he would consider moving its primary listing in the country, he said there is no need “to do anything dramatic,” noting that the company has plenty of liquidity through its American depositary receipts in the US, where the majority of its shares trade. The company has sold and closed operations in its home country to stem losses and now operates one underground mine and some surface operations. Output from AngloGold’s operations in the rest of Africa is expected to expand to more than 50 percent of the company’s total, buoyed by production ramp-ups at Siguiri mine in Guinea and Kibali in the Congo. The Obuasi mine in Ghana could become a key operation for the company if its redevelopment comes in on budget by the end of 2019, the CEO said. “That’s the kind of asset which will be an engine of growth for this company,” said Dushnisky, who visited the project last week and met government officials. His responsibilities at the world’s largest gold miner included dealing with host governments and communities and overseeing Barrick’s own streamlining as it shed non-core assets and focused on cutting costs and improving free cash flow. While aware of the negotiations that led to this week’s announcement that Barrick Gold has agreed to buy London-listed Randgold Resources Ltd. for about $5.4 billion, Dushnisky said he wasn’t directly involved. “It’s early and so we, like everyone else, are enthusiastic observers of the combination,” he said.